I wrote this article in the middle of January, but I thought it best to put it out right before Valentine’s Day. 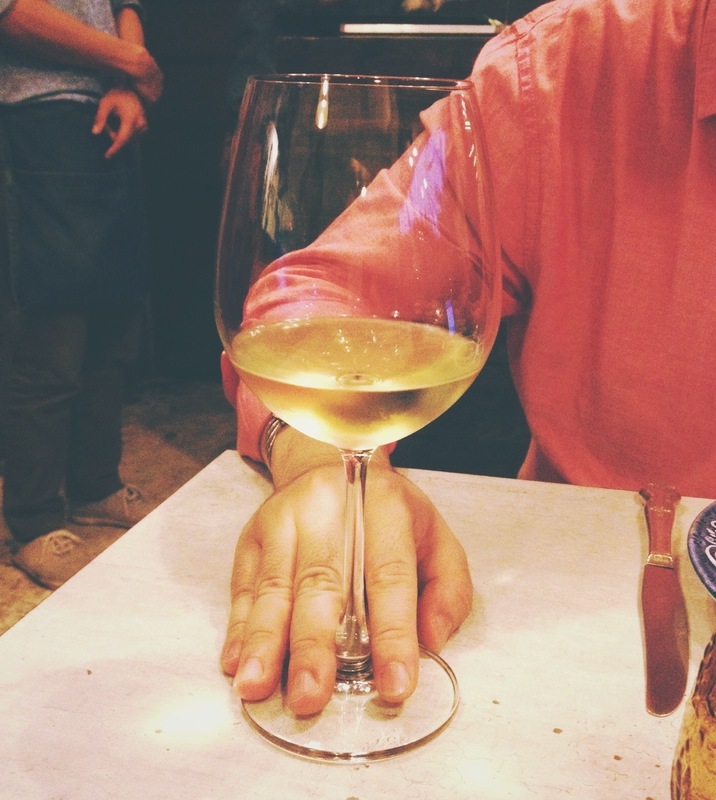 I figure, it’s the time of year to be out on fancy dinner dates with wine, and I thought about putting together easy tips on how to look good drinking wine. This all started when I saw a friend post a disparaging photo of a famous TV character drinking wine. This actress held her glass by the body and she got so much flak for that. This is pretty easy to remember: Use the 5S Method: See, Swirl, Smell, Sip, Swallow. First, SEE the wine. On an academic level, this will allow you to see faults, and age… But we’re talking about etiquette here, so let me save you the boring talk on age indicators (I will, however, make you suffer this in a later entry, haha). Not savoring its visual appeal is like not taking in a guest’s appearance after she has evidently made such a huge effort to be presentable. For dinner purposes, you don’t need to hold it against the light (awkward). A nice gaze would do. Next, SWIRL the wine. This allows the wine to inhale oxygen after being cooped up in a bottle for so long. Smells cannot be at their best without being properly aerated. You do not need to make the glass leave the table and be airborne to swirl (especially for the novices; many a wine has been spilled this way). You only need to set it on the table and gently swirl. SMELL the wine. Do not stick your entire nose in the glass, do not drown in the liquid, and do not inhale loudly. Take a delicate sniff. 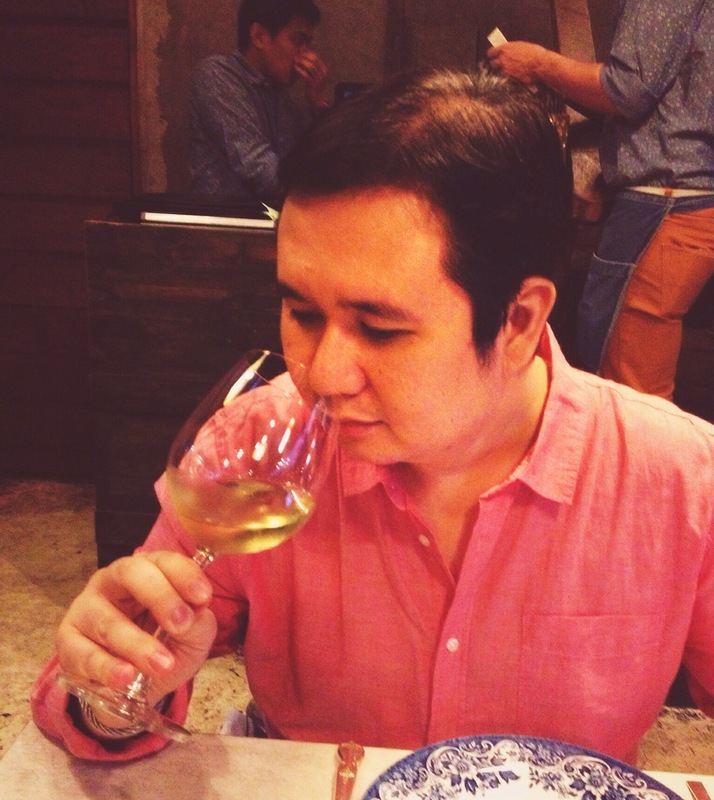 Taste involves smell, and you cannot appreciate the wine properly without taking a whiff of it. Mentally note what you smell. Do NOT tell the world in a self righteous way what you’ve smelled unless asked. You could, however, express compliments (from a soft “mmmmm” to a polite “wow”). Then, SIP the wine. Savor the beautiful beverage. Nothing is more scandalous to wine-os than seeing someone chug down a beverage that a wine maker from a different part of the world took so long to perfect and put into your bottle. It’s so nouveaux riche and totally uncultured. Lastly, SWALLOW the wine. 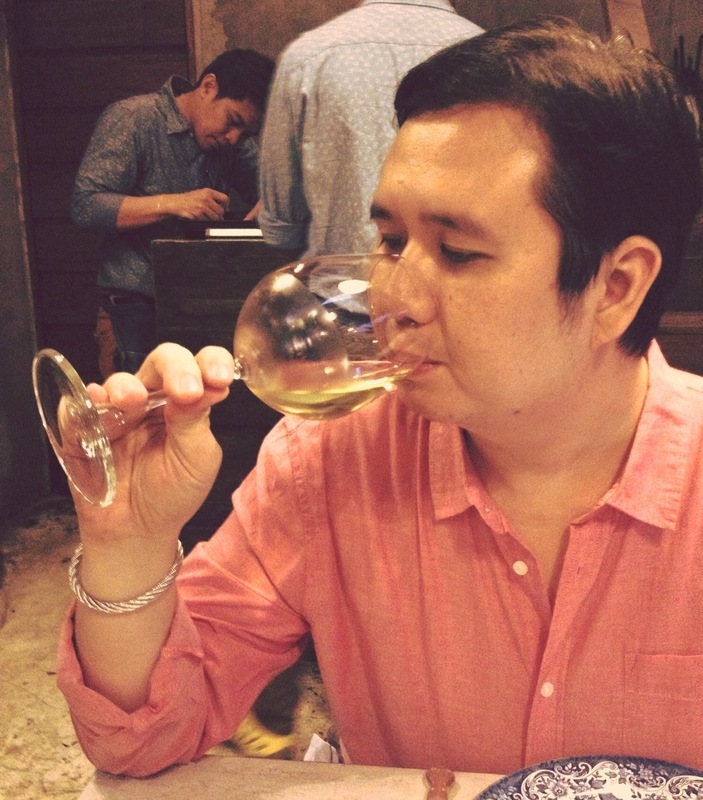 In wine tasting events, so as not to get inebriated, you are normally provided with a spittoon to spit the wine. A dinner, of course, is not such an event. You do not slurp it either. Ideally, you have aerated it enough during swirling that you don’t need to further introduce air in your mouth (also, this practice can lead to gas… Ew). Wine glasses, by and large, are stemmed glasses. There are appropriate glasses for each type of wine, but by and large they are all stemmed and should be held by the stem. Wines are temperature sensitive, and holding a glass by its body will transfer the heat from your hand to the beverage. It will not spoil the wine, but it would not be at its best. It’s akin to you pulling out your date’s hair clip during your date. She won’t turn into a hag, but she won’t be as cute. The only time I’ve found holding a glass by the body acceptable is when the wine is over-chilled. Otherwise, it is not brandy (which requires a bit of heat to be at its best). 1) Avoid high tannin, jammy reds. A shame, I know (I have a preference for big, bold Aussie Shiraz). These wines are notorious for leaving a dark red/purple tinge on your mouth. 2) Ladies, if you are okay with the teeth stains but not on your lips (they are difficult to remove in the morning, especially with a hangover), wear a high moisture, dark red lipstick. Matted lips absorb wine stains more, and dark lips mask dark red wine stains. I personally prefer L’Oreal Color Riche in Rose Bud. My personal rule? If your date doesn’t understand that it’s part of the beauty of the drink you’re enjoying, ditch him. You will never enjoy good wine without good company. As much as I would love to hear that you’ve shared stuff from my blog to others, the dinner table is not the place to bend people’s ears off with wine trivia. You don’t want to sound like a pompous know-it-all, and you sure do not want to make your guests feel dumb. Nothing is more horrific than hearing someone say, “I do not like your wine”. I especially emphasize this when your host happens to be a wine maker. Once again, to the wine maker, that is his opus (no pun intended on Opus the wine brand). Keep an open mind. Do not dash his hopes by saying it’s horrible and shutting it out. I have encountered several wines that have the best stories behind them. They may not be top of mind for my enjoyment, but the stories have stayed with me. On that note, do enjoy your Valentine’s Day date with your love and your wine. I know I will. 😉 Cheers!